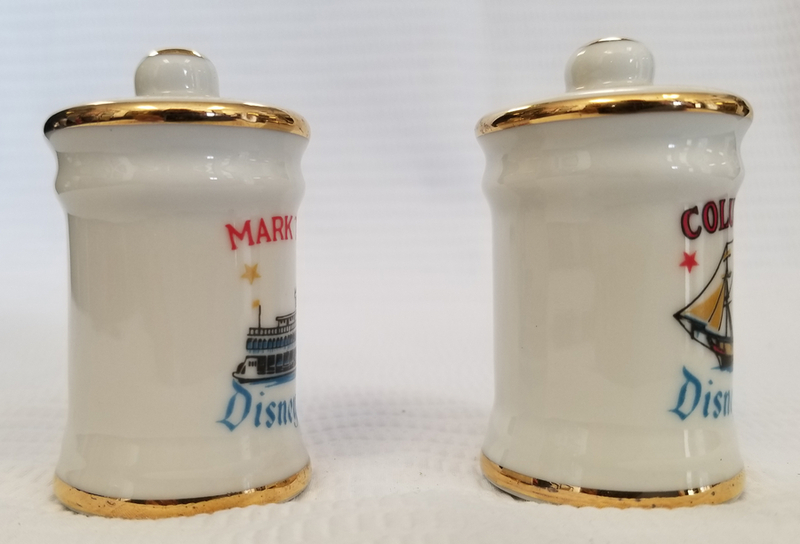 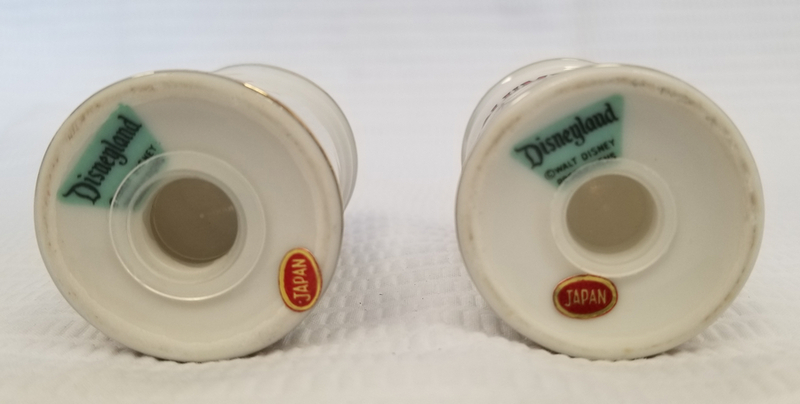 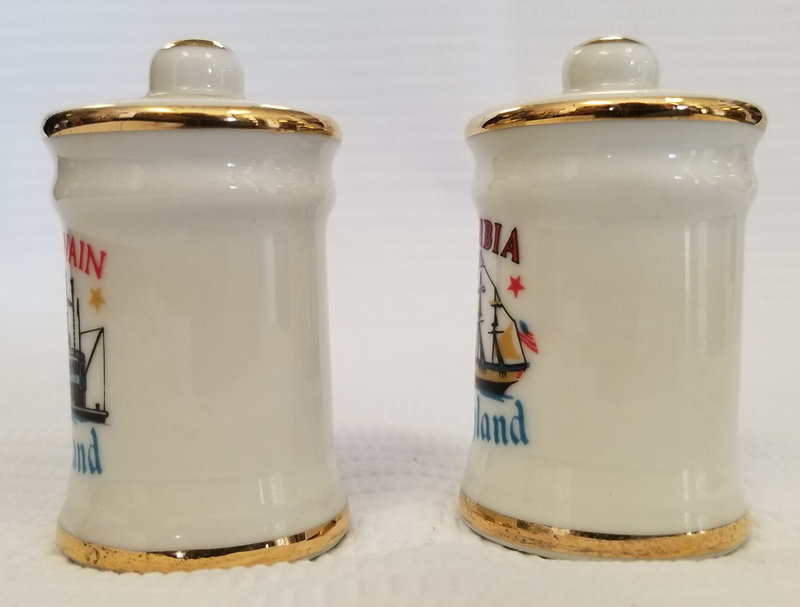 1.5" × 1.5" x 2.75"
This is a set of ceramic salt and pepper shakers from the Disneyland theme park. 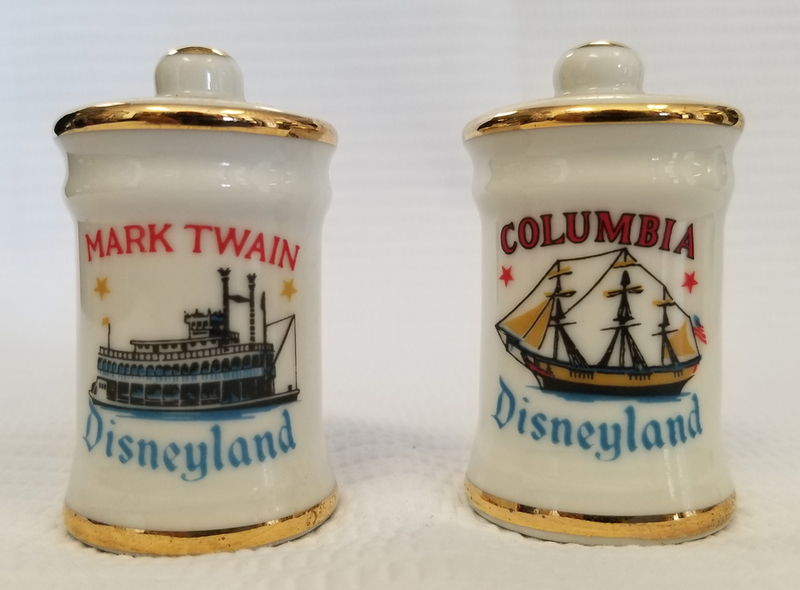 The set was created in the 1950s and features imagery of the two major sailing ships on the Rivers of America, the Mark Twain paddlewheel river boat and the Columbia clippership. 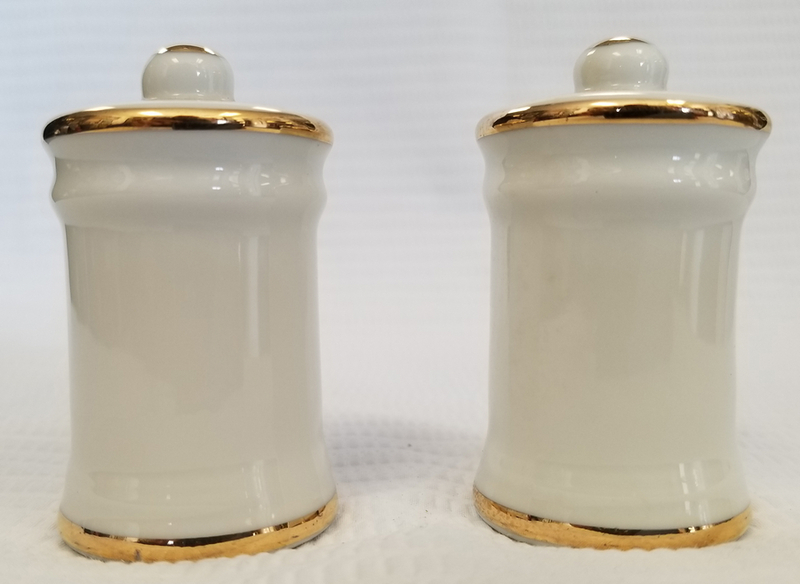 The shakers measure about 2.75" x tall and 1.5" wide and are in excellent condition.